The recounts of three races in the Sunshine State have drawn national attention. Florida's vote recounting appears to be complete. Around midday, the state's Division of Elections updated its website to show Gov. Rick Scott leading sitting Democratic Sen. Bill Nelson by 10,033 votes in the narrow U.S. Senate race that has dragged on since Election Day. Counties had faced a noon deadline on Sunday to finish a manual recount of certain votes and submit their updated numbers to the state. The state's website indicated those recounts had been completed, and all counties made the deadline, according to the Florida Department of State. Nelson's campaign announced the two-term senator and former astronaut would make a public statement at 3 p.m.
Scott's lead had narrowed slightly, from 12,603 votes after an initial round of recounts -- machine recounts of nearly all ballots -- concluded on Thursday. Nelson suffered a series of setbacks late this week, as lawsuits to count more ballots failed in federal court. 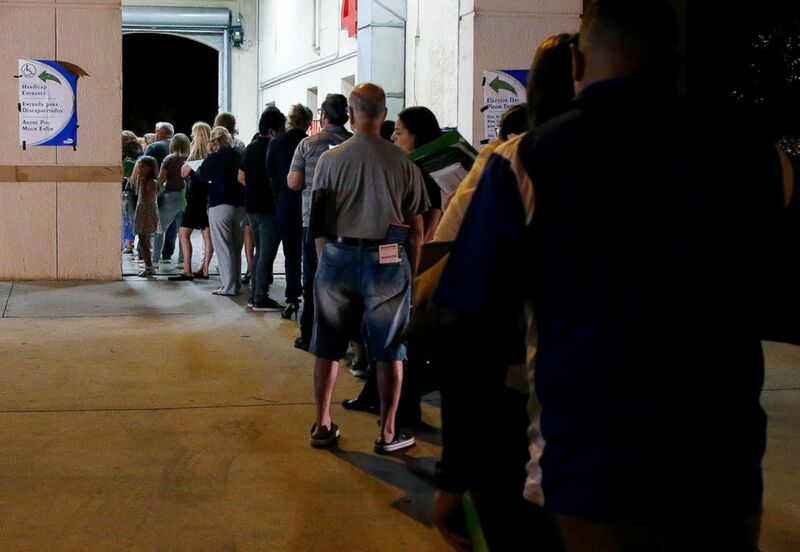 An at-times messy vote recount in the Sunshine State has drawn national attention as officials have had to re-feed ballots through counting machines -- and then hand-examine thousands of ballots since Friday. At one point this weekend, embattled Broward County Elections Supervisor Brenda Snipes reportedly admitted her office may have misplaced over 2,000 ballots in the state agriculture commissioner race recount, a moment that capped a problematic vote-counting process in Broward County. "I believe those ballots were probably mixed in with another stack," Snipes said Friday, as her staff sought to finalize its agriculture commissioner tally. The Sun Sentinel posted video of Snipes's comments at a canvassing-board meeting. "The ballots are in the building," Snipes said, repeating once more, "the ballots are in the building." Heading into this weekend, officials had struggled to complete a machine recount on Thursday. In Palm Beach County, the top election official reported that counting machines had overheated and stopped working. In Broward County, officials failed to upload recount results to a state website in time on Thursday -- missing the deadline by only minutes. 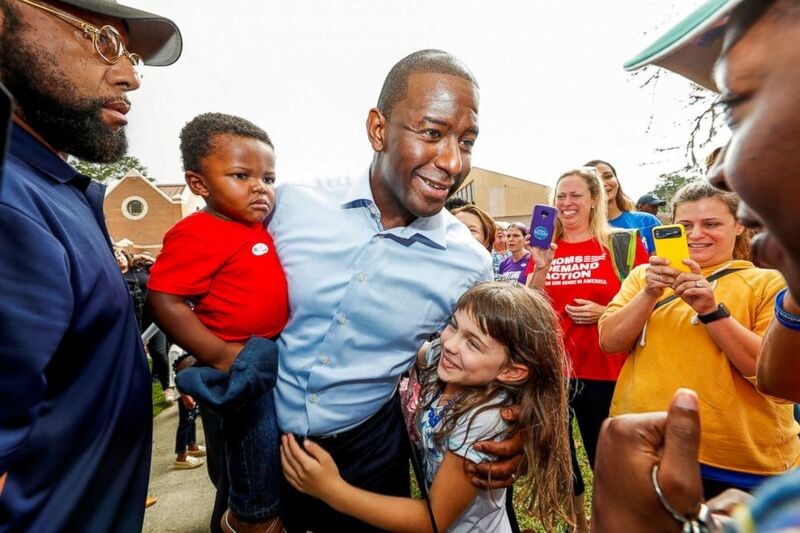 (Colin Hackley/Reuters) Democratic gubernatorial candidate Andrew Gillum holds his son Davis as he greets well-wishers outside his polling place after voting during midterm elections in Tallahassee, Fla., Nov. 6, 2018. Three statewide races had remained undecided in Florida since Election Day -- Senate, governor, and state agriculture commissioner. All fell within the .5 percentage point margin that triggers a machine recount of votes, which concluded Thursday. The races for Senate and agriculture commissioner remained close enough -- within .25 percentage points -- to require hand-recounting of a subset of ballots over the weekend. The governor's race reached a conclusion Saturday. Democratic Tallahassee Mayor Andrew Gillum conceded to Republican Rep. Ron DeSantis and congratulated him. (Rhona Wise/AFP/Getty Images, FILE) People wait in line to vote at a polling station in Miami, late Nov. 6, 2018. In the Senate race, a string of setbacks damaged Nelson's chances of gaining the votes he needs. A federal judge struck down lawsuits to expand considerations of voter intent when examining hand-marked ballots. Another lawsuit, to count ballots postmarked but not delivered in time, also failed in court on Friday. Nelson's lawyers had hoped that more than 26,000 under-votes in Broward County -- ballots on which voters marked choices for other races, but not for Senate -- would yield extra votes to help the Democrat. 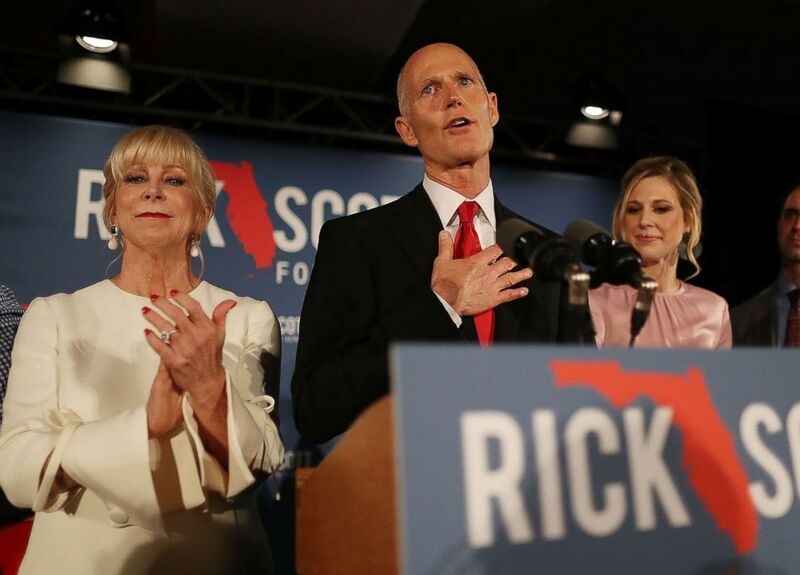 But with hand recounting complete in Broward on Friday, Scott's campaign said this weekend that it had obtained results through public-records request, and Broward's recounting had netted Nelson fewer than 300 votes against his opponent. The Senate recount had been subject to at least a dozen lawsuits, some challenging deadlines and which votes should be counted. The Florida races have been subject to multiple allegations of fraud by Republicans -- including Scott and President Donald Trump, who tweeted that ballots had been "infected" and suggested without evidence that votes had materialized out of thin air and that voters often disguise themselves and vote twice.